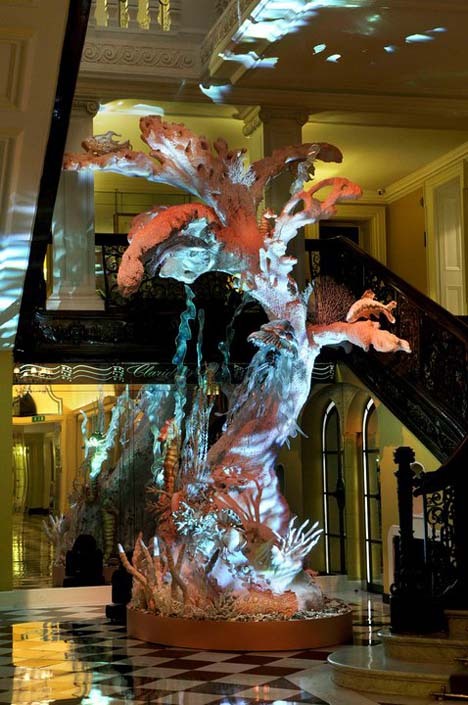 John Galliano has done it again and designed for the second year running the Christmas tree for London’s famous hotel Claridge’s. This time, he drew inspirations from the ocean. 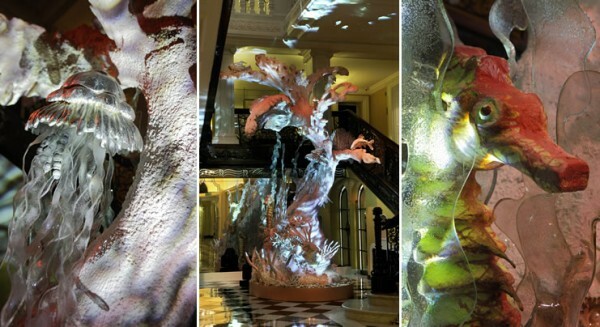 „I wanted to create an underwater fantasy and have mixed pink corals, seahorses, anemones and jellyfish, all glinting like gem stones, swimming amidst the silver leaves,“ said Galliano, Christian Dior’s creative director. As for me, I preferred last year’s installation, as the frozen theme looked more wintery. The tree is on display in the lobby until January 5th, 2011.